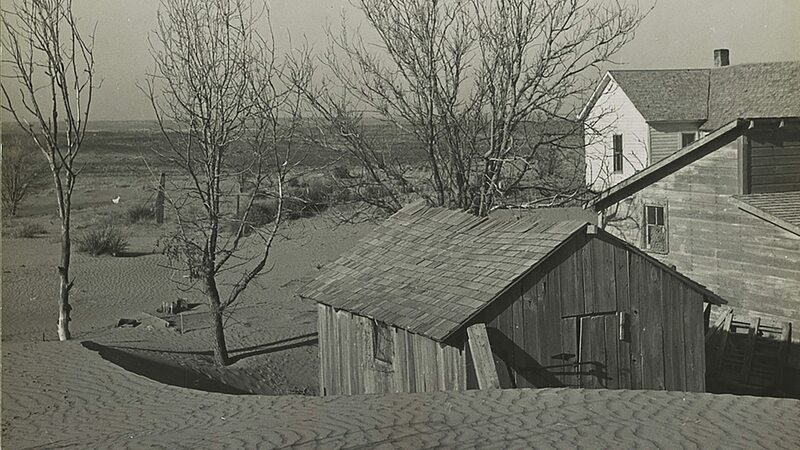 In the 1930s, a bad drought and an economic malaise upended farming systems around North America causing the Dust Bowl. On one hand, the environmental signals are sobering. The drought in California seems to be long-lasting and even this year’s record El Niño, which many had hoped would bring rainfall to the southwest, seems to have done little. In Africa and India, hundreds of millions are facing food insecurity due to a combination of drought and armed conflict. Meanwhile in Canada, the Prairie Climate Centre has recently published an atlas suggesting the wildfires in Fort McMurray are a taste of things to come. This year’s hot dry weather is consistent with climate change models that project the number of days reaching above 30°C each year will increase by 3-4 times in the prairies over the century. But it’s not all bad news. We also have cases where people were able to adapt to even very severe droughts. For instance, the 2012 drought in the American Midwest was extraordinary from a meteorological perspective yet didn’t have the effect on harvests that the US Department of Agriculture had predicted. It also only had a modest impact on food prices. Partly, this was because in the years prior to the drought many farmers had switched from conventional plowing to “seed drilling” in order to plant their crops. Such practices do not disturb the soil much and allow organic matter, which acts like a sponge, to build up and buffer crops against hot dry conditions. Or take the 1992 drought in southern Africa that put tens of millions at risk of starvation. One UN official described it as “apocalyptic” when it caused rivers to run dry and slashed harvests by 50 per cent. Amazingly, this crisis, too, passed without significant hardship. A combination of scientific innovation, which created drought-tolerant crops, forward-thinking policies that kept food prices level, and humanitarian programs helped keep people from fleeing their homes. The key lesson is that a combination of innovation and policy can improve our ability to adapt to environmental problems. There is more good news. The opportunity to develop both the technologies and the policies to create climate-resilient food systems is an area where Canada, and Canada’s agri-food sector, can lead the world. To realize this opportunity we need to foster the same sort of culture of innovation and entrepreneurialism in the agri-food industry as that which created the Internet and is transforming medicine. This means that we must bring academic, private and not-for-profit players together with government to catalyze a new digital agricultural revolution that will allow us to produce more food, on less land, and with fewer inputs. This sort of collaboration is what the new University of Guelph Food Institute is trying to achieve. For instance, we can link satellite navigations systems with soil maps to create “smart tractors” that sense their environment and can automatically plant drought-tolerant seeds in drier parts of a field. Big data analytics can ensure irrigation systems only give plants the amount of water they need, when they need it. And we can create incentives for farmers to collect and upload data so that we can develop policies to foster climate-resilient innovation. In short, the emerging digital agricultural revolution will be as significant for future generations as the Green Revolution was in the 20th century. If Canada acts now and becomes the Global Leader in this area, the rewards will be great. Our farm sector will prosper and we will be better able to export our commodities to international markets. Humanity is on the cusp of a major transformation as we come to grips with the necessity of feeding 9 to 11 billion people on an increasingly hot and crowded planet. Thanks to climate change, meeting this challenge requires that we be far more thrifty with our resources and create not only productive but also resilient systems. The tools of the digital agricultural revolution are only just now emerging, but they will come to define how humanity feeds itself in the future. Canada, and the Canadian industry, should be at the forefront of this revolution.